Among the different flavonoid active ingredients, which greatly favor muscle development, we find quercetin. It's a fundamental element for our health and muscles. Quercetine is a substance that belongs to the flavonoid family. It’s found in a variety of fruits, vegetables, and also in food supplements. Its antioxidant potency is extremely high, so it has very positive effects on the body. Moreover, it has anti-inflammatory properties. These two characteristics we’re referring to make quercetin a vital element for maintaining a healthy body and, in particular, healthy muscles. Its antioxidant capacity prevents the formation of oxygen free radicals in cells, thus, thwarting their aging and degeneration. Despite not being well-known, quercetin is a very important nutrient for our body. It belongs to the flavonoid family. To be more precise, it’s one of the most active polyphenol variants. This substance has a surprising variety of pigment distribution in its molecules. There are strong blue tones like the ones present in blueberries, and others are red like raspberries. Yellow and green are also present, much like apples or onions. Quercetin performs highly biological activities and is part of the most powerful antioxidants. Therefore, it’s one of the essential nutrients we need to ensure our body’s health. This active ingredient reduces the effects that free radicals have on cells, among which we can include aging and malignant tumors. Likewise, it also has anti-inflammatory and anti-allergenic properties. Quercetin is present in a wide variety of foods, many of which we consume regularly. Onions stand out among foods that contain higher concentrations of this substance; they undoubtedly carry the highest percentage. This common vegetable contains very high levels of quercetin. It’s often credited with benefits such as protection against infection and inflammation. This protection is mainly due to the quercetin it contains. Other foods that contain high levels of this substance are garlic and healthy fruits such as apples, cherries, spinach, broccoli, mango, and cranberry. We can also find a good amount of quercetin in oats, green tea, black tea, and red wine. Additionally, there are dietary supplements available, which are based on quercetin that can be consumed daily. Free radicals cause very harmful effects in our cells and body in general due to the oxidation they generate. Antioxidants are able to reduce these negative effects. Consuming foods with high levels of quercetin forms a kind of antioxidant shield in our body. Antioxidants are molecules that have the power to slow down and prevent cell oxidation. However, our body produces a wide variety of free radicals and no antioxidant can control them all. That’s why it’s essential to have a balanced and varied diet that contains a broad range of them. The antioxidant properties of quercetin help to prevent and slow the aging of skin damage to the muscles and fundamental organs, such as the heart. They also help prevent the formation of malignant tumors. Quercetin also has important natural anti-inflammatory and antispasmodic properties. Its consumption helps to relieve the symptoms of osteoarthritis, arthritis, herpes, colitis, Chron’s disease, and other important pathologies. In sports, quercetin is very useful for enhancing physical and athletic performance. It also fights against the inflammation of muscles, tendons, and ligaments, and alleviates any pain that relates to this problem. Consuming quercetin is also beneficial in regard to many other diseases and ailments. For example, it improves the immune system, alleviates the symptoms of asthma, and prevents or diminishes allergies thanks to its antihistamine power. 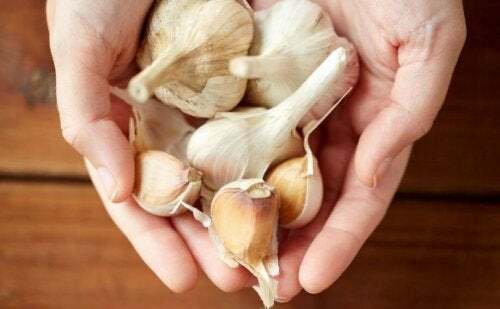 This substance also protects the liver, decreases chronic pain, increases circulation, dilates veins and arteries, and stops viral and bacterial infections. Quercetin also stimulates the nutrition of the scalp and hair from inside the body, avoiding dandruff. Finally, it counteracts the harmful effects of stress and helps us control personal or work-related anxiety.